I bring with me best wishes from my father King Harald V, to your Majesty and the royal family. 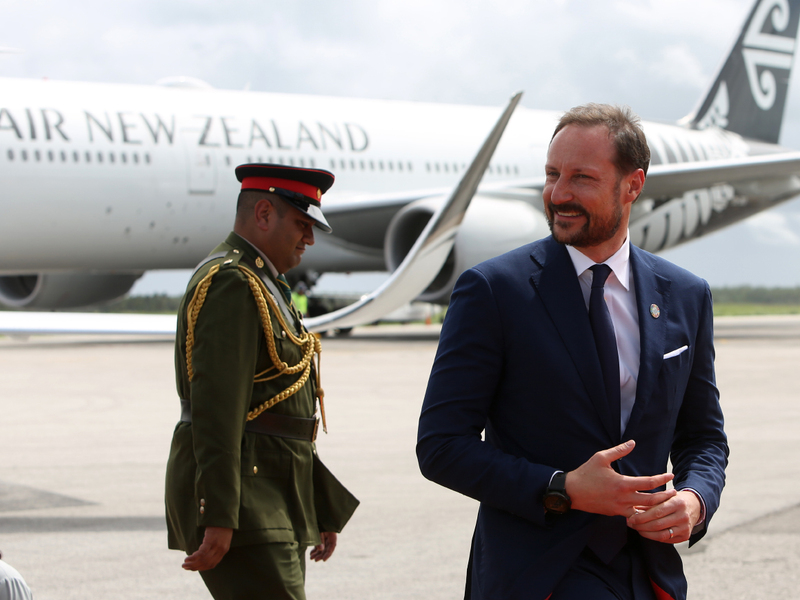 I am grateful and delighted to be here in Tonga, so is our entire delegation. This is our first stop on a comprehensive visit to the South Pacific. We have already met with Your Majesty, as well as high-level representatives from the Government and the authorities. And just before this dinner, we attended a very enjoyable Tongan cultural performance. Very impressive. We have received a warm welcome to your beautiful country – and met friends with shared interests. I would like to thank you for the kind hospitality we have experienced. Tonga and Norway are far apart when it comes to distance and time. When the sun rises in Tonga, the sun is setting in Norway. We come from the cold north of Europe – and it is quite an experience to leave Norway at the end of winter and arrive here in the warmth of the South Pacific. Quite pleasant, I must say. Tonga and Norway may be small in terms of land mass, but we are both large ocean states. In both our countries, the oceans are essential to our livelihoods, and key to our history, economy and identity. Seafarers from Norway first visited the South Pacific two hundred years ago. The ocean connects ua. We share the same planet, and our peoples share a deep concern about the future of the earth, its oceans and its climate. 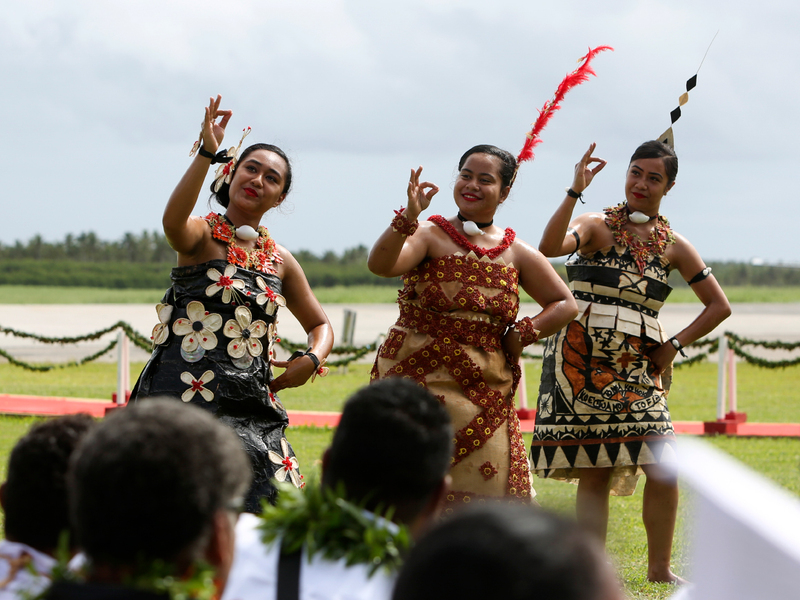 Tonga’s voice, together with other Pacific states, was crucial in the Paris climate process. We will continue to work with you to promote climate action – and to promote sustainable, healthy oceans. 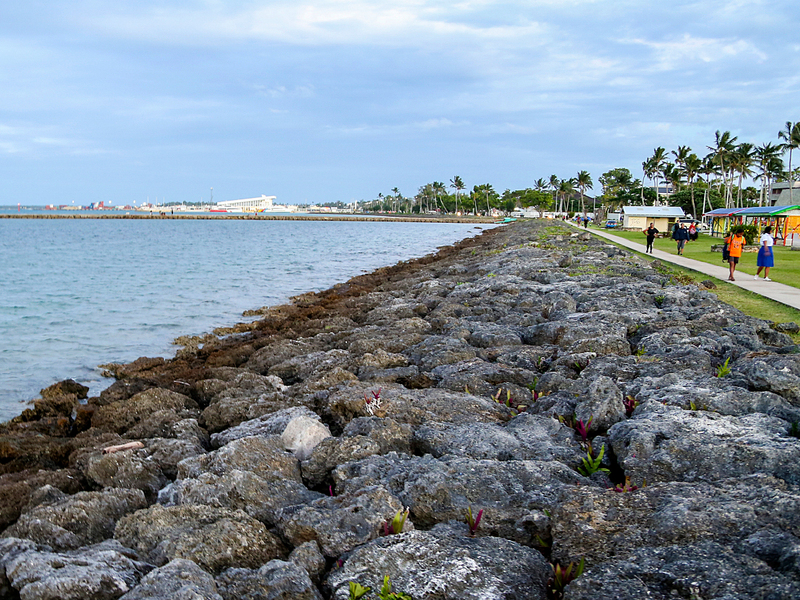 We know that the Pacific Islands are vulnerable to the impacts of climate change. I am here to observe, listen, and learn more about how your country is dealing with rising sea levels and more frequent cyclones. We are seeing the effects of climate change in Norway, too: shorter winters, shrinking glaciers and receding icecaps in the Norwegian Arctic islands of Svalbard. Rising sea temperatures and melting glaciers in the north mean rising sea levels all over the globe. The future of the planet depends on the health of our oceans and climate, and on our ability to work together. 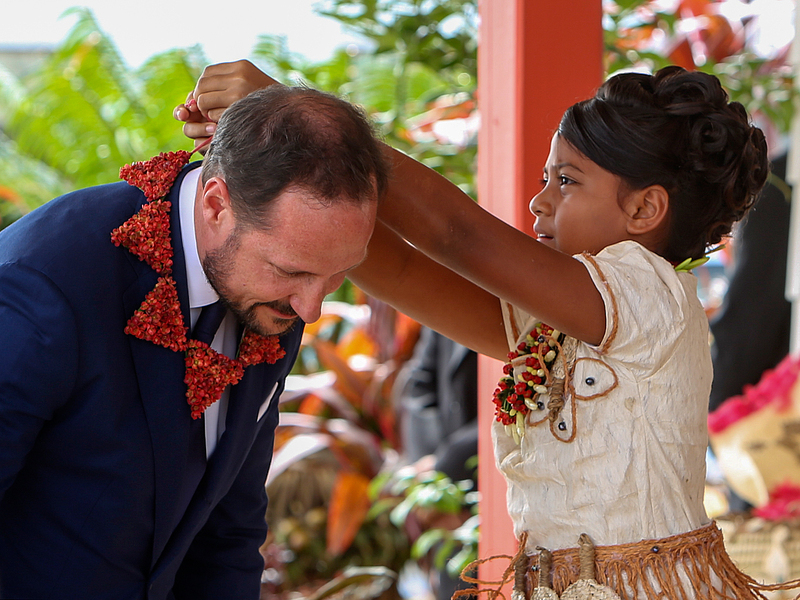 Since Tonga joined the United Nations twenty years ago, cooperation between our countries has grown fast. 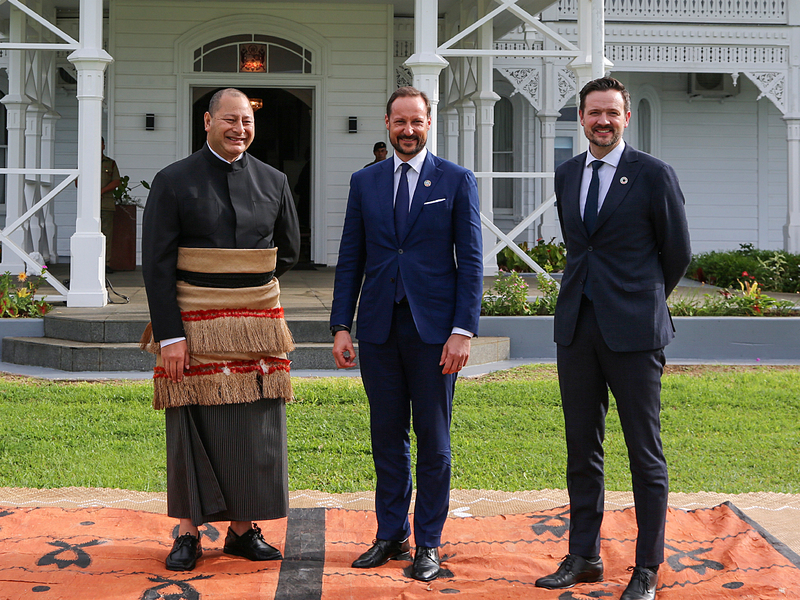 Norway supports the SAMOA Pathway and the Centre for Renewable Energy in Tonga. We work with Pacific SIDS in the Seabed Authority, and on biodiversity in the high seas. These are examples of our commitment to engage with you more closely than ever. We believe that peace and security, climate action and sustainable development are all interlinked. 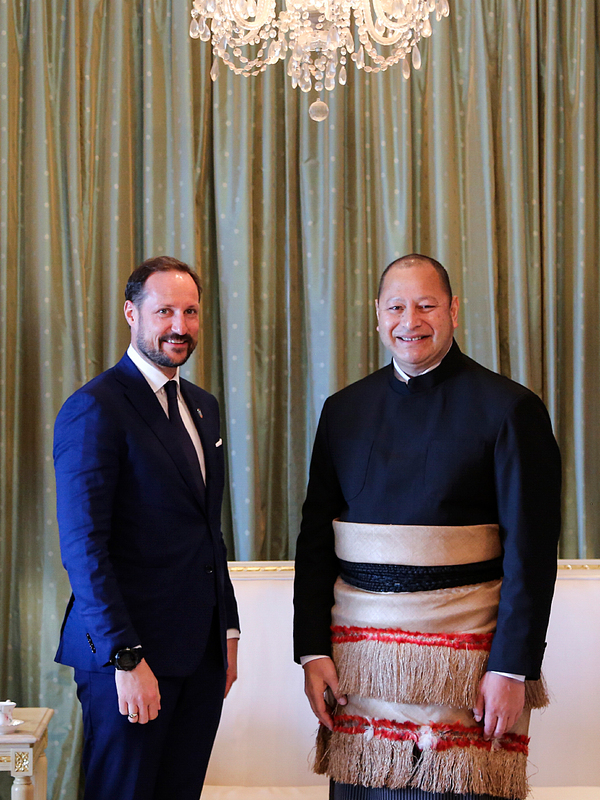 Norway wants to learn from Tonga’s experiences — and to bring the knowledge we gain from you to the Security Council in 2021. You have valuable lessons to share from peacekeeping in Bougainville and the Solomon Islands. Your troops have been deployed, alongside ours, in support of allies in Iraq and Afghanistan. And – of course – you have direct experience of the impacts of climate change, as we will see tomorrow. I think we also share a love of sports. We noticed Tonga’s participation in last year’s Winter Olympics – for the first time – together with Norway in the 15 km cross country skiing competition. We were very impressed by your flag bearer Pita Taufatofua’s results: He did it in under one hour – which is quite an achievement considering your disadvantage when it comes to snow conditions here in Tonga. We might be ahead of you in skiing, but Tonga still beats us in rugby. On any given day. I would like to wish Tonga the best of luck in the Rugby World Cup in Japan this year. You have a tough pool, but I know that you have a tough team, as well. The warm welcome you have given us is a testimony to the enduring tradition of hospitality shown to visitors to these beautiful islands. 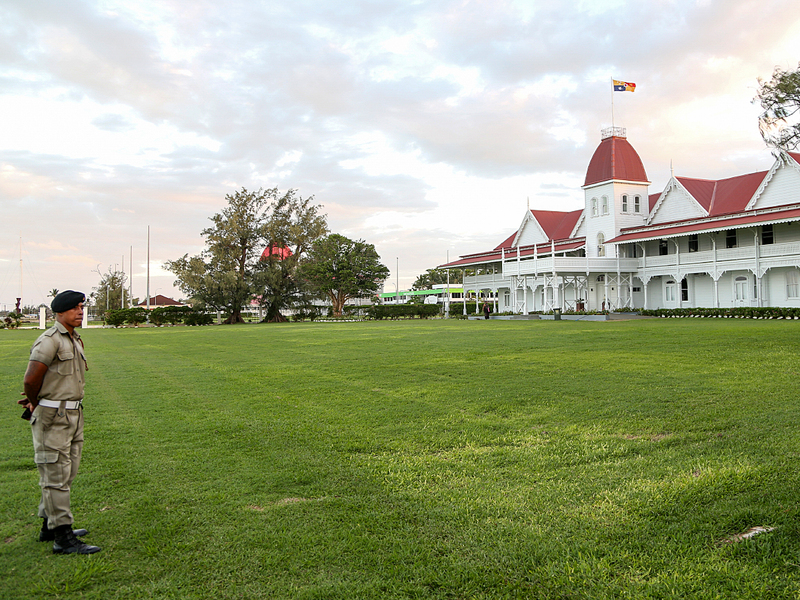 Please let me propose a toast to Your Majesty King Tupou 6., and to the friendship between our two nations.